When opportunity knocks for this service segment, be sure to open the door. In a slightly different way than general pest control does, termite management services seem to be capable of giving pest management professionals (PMPs) big-ticket revenue … and solid margins if PMPs can control labor and marketing costs and avoid callbacks. Pest Management Professional’s (PMP’s) 2017 Termite Management Survey shows that this segment is expected to continue to enjoy steady growth in 2017. It’s just a matter of choosing the optimum strategy — and being smarter with our related sales, inspections and services. 1. Build a reputation among builders. Curtis Rand says Bug Out reaps revenue from custom builders and commercial construction. 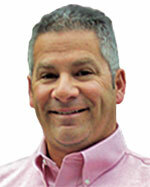 Curtis Rand is regional vice president of Bug Out Service in Saint Augustine, Fla. He names fierce pricing competition as one of his firm’s biggest obstacles in termite work — and he’s not alone; nearly 26 percent of our survey respondents said the same. But Bug Out combats it by focusing on custom homebuilders and commercial construction. On the other side of the country, Gene Chafe, vice president of pest control for Senske Services, Kennewick, Wash., reports that the pretreat market isn’t that big in his market, although a few builders are starting to require them. “Termite pressure isn’t great in the Northwest, so we’re looking now to expand our termite treatment footprint in newer markets, like Las Vegas, Salt Lake City and, to a limited degree, Seattle,” Chafe says. In San Diego, Payne Pest Management President Jason Payne is focused mostly on drywood termites, as opposed to subterranean species. A rainy January was music to his ears: “All this weather that’s been coming, it’s going to be pulling a lot of ants, and more importantly — a heavy swarm season in the spring,” he says. 2. Rethink your payment plans. Rand says Bug Out’s opportunities to expand termite management revenue streams also rest with an expansion of its sales force and using a monthly payment model to allow for termite work to be more effectively budgeted by the consumer. 3. Revisit your marketing and cross-promotion efforts. A crisp look and simple message comprise Bennett’s approach to billboard advertising. 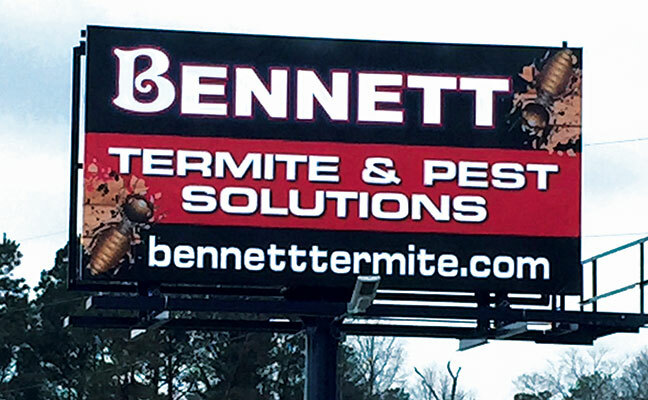 Bennett Termite & Pest Solutions focuses on TV and radio ads, billboards, and some print advertising. 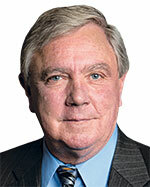 Billboards reinforce the message of the other media avenues, notes Dean Bennett, president of the Bishopville, Md.-based firm. But he is careful not to hit drivers with information overload. “If you’re going 65 mph, I just need you to see the name of the company and the website,” Bennett says. 4. Hire right, from the start. 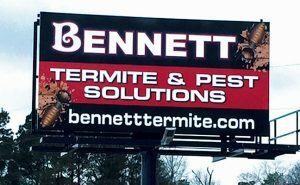 Bennett stresses the importance of getting the right people in as termite technicians. As with his other two divisions, bed bug and moisture control, they should be detail-oriented and in it for the long haul. Bennett has been in the industry 25 years, his supervisor for 18. “We’ve hired two new people recently, but otherwise, everyone has been here at least three years,” he says. Interestingly, he notes, it’s worked out that rather than hiring young techs, “We’re all middle-aged, and comfortable in that game.” The higher cost of hiring more-experienced techs, he says, is evened out by increased production margins, and reduced turnover. To make things easier for everyone involved, each of Bennett’s techs has an iPad. “It’s the ‘Keep it Simple, Stupid’ factor: We email everything to customers, which makes us 100 percent paperless,” he says. 5. Put training at the top. 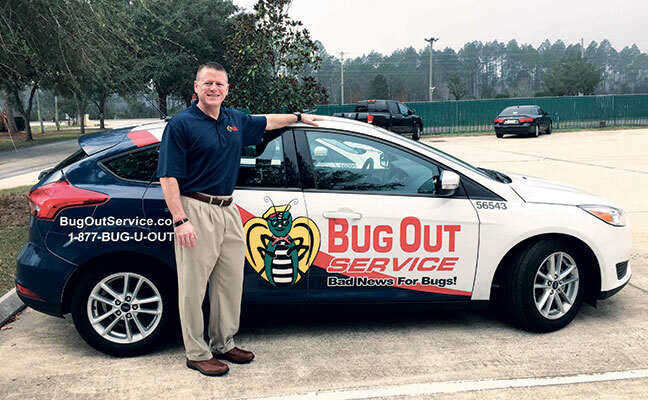 Ertell Whigham III, branch manager of Pointe Pest Control, Bridgeport, Pa., says while his company is not the least expensive in the market, it stands apart because of the thoroughness of its termite technicians, in both inspections and treatments. Bug Out’s Rand agrees, pointing out that today’s educated consumers deserve nothing less than knowledgeable, well-trained PMPs. 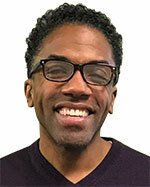 He notes that educating technicians — as well as sales and support staff — is a multi-faceted process, incorporating classes and ongoing training from associations, vendors, industry media and in-house. 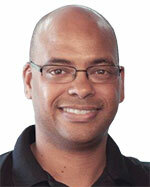 Stacey White, Vintage Pest Management, Peoria, Ariz.: “During inspections, move stuff. Get on your hands and knees. Pull the shades up and down. Look like you want to find something, and you most likely will. After a thorough inspection, price accordingly. While overall, survey respondents were pleased with the outlook for termite management services in 2017, there are always a few challenges to overcome. When asked to rank seven specific obstacles, the majority said fierce pricing competition in their respective markets is the biggest headache inducer. This was followed by a sluggish overall economy, and a lack of termite swarms — although several were quick to point out that educating customers and prospects that termites can exist on their properties without a swarm usually takes care of that issue. Fourth on their obstacles list was a sluggish home sales market, while the complaint of today’s treatments “work too well for too long” came in fifth. A sluggish new-construction market was not as much of a factor as it’s been in the past, and it was a relief to see “difficulty finding and keeping qualified termite technicans” come in last on the list for most. Other reported obstacles ranged from the technical (heated floors, slabs on grade, wells, above-ground infestations, changes in landscaping) to the operational (sales and marketing, lack of consumer understanding and/or cooperation). Many noted that the competition was underbidding, leading them to resist the urge to underprice jobs or rush through inspections and treatments to get a decent revenue margin. Raising the return on investment (ROI) on advertising and marketing investments was another complaint. While we can’t do much about weather conditions or unscrupulous competitors, we can continue to bring you expert advice on how to deal with several of the other technical and business obstacles in future issues of PMP. 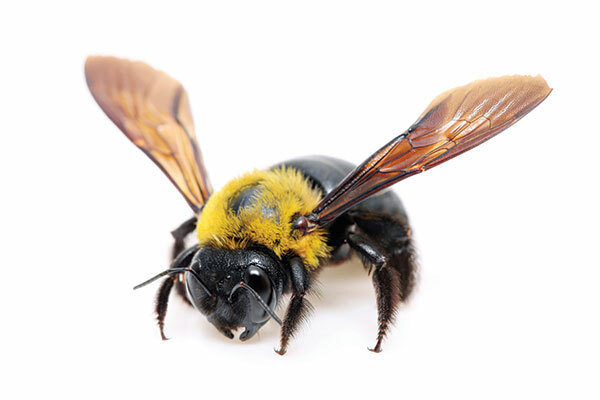 Carpenter bees… in the snow? One of Ertell Whigham III’s tricks of the trade is to inspect for overwintering carpenter bee larvae and adults in colder months.